Bukh, V. & Grigoryeva, E. (Eds.). (2013). Vladimir Pavlov. Yekaterinburg: Tatlin. BAGINA, Elena; GRIGORYEVA, Elena. A Dialogue Between Elena Bagina and Elena Grigoryeva about Irkutsk, Pavlov and the 1960s. 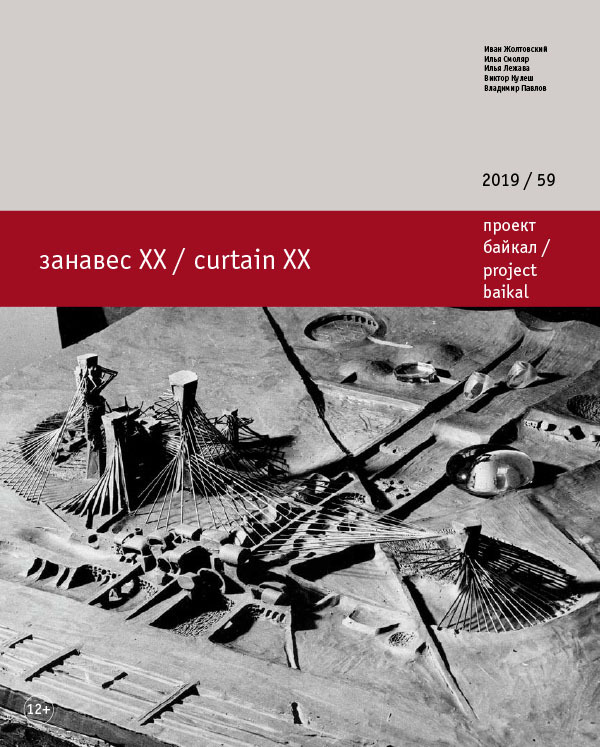 project baikal, Russian Federation, n. 59, p. 130-137, mar. 2019. ISSN 2309-3072. Available at: <http://projectbaikal.com/index.php/pb/article/view/1446>. Date accessed: 24 apr. 2019.